PROTECTAPAK offers the following core products but our expertise and approach does limit our products to the following list. If you should require something specific, click here to submit an online enquiry. A process where rigid PVC film is heated and then formed onto a mould via a vacuum process. All moulds are custom manufactured to suit the specific requirement of the individual product. 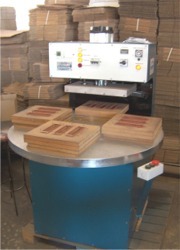 A process whereby the blister produced is sealed onto a retail packaging card, which has been treated with a blister varnish to enable the produced blistered to be effectively sealed onto the card. The result is an encapsulated product ready for the retailer for display to the general buying public. A process whereby the final product is encapsulated in PVC film which has been pre-shaped to suit the product. Sealing of the PVC blisters (back and front) is via a high frequency welder which provides a tamper-proof container, generally for retail purposes. Although we were established to service the small and medium sized packaging industry and on that basis we provide "one-off" orders, we readily discount our standard rates for contract packaging clients. We retain our service ethos whether the orders are large or small, one-off or contract. 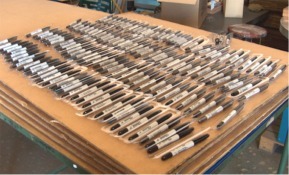 Contract orders are typically for a 12 month duration with regular monthly or 2-monthly production runs being the norm. Although not a main line service, we do offer PVC Bending as an alternative to the above. The advantage of this process is that the final blister product is formed by Protectapak and bent ready to recieve the final product. However, the blister is shipped to yourselves for final packaging of your product. Once inserted in the blister, the backing card with the relevant retail information pre-printed is stapled by your staff onto the blister. The critical benefit of this process is that your product does not leave your premises. The disadvantage is that the final product in the retail outlet is not tamper-proof.  The "Heat Sealing onto Card" and "High Frequency Welding" processes both provide a tamper-proof final product. However, they both require your product to be delivered to our factory for final packaging.